Division Maneuver Novel Volume 1 is written by Shippo Senoo and features illustrations by Nidy-2D-. When the monstrous Jave attacked, mankind’s strongest warrior died defending humanity—and was reincarnated as a baby. Now, thirteen years later, the Jave have returned! 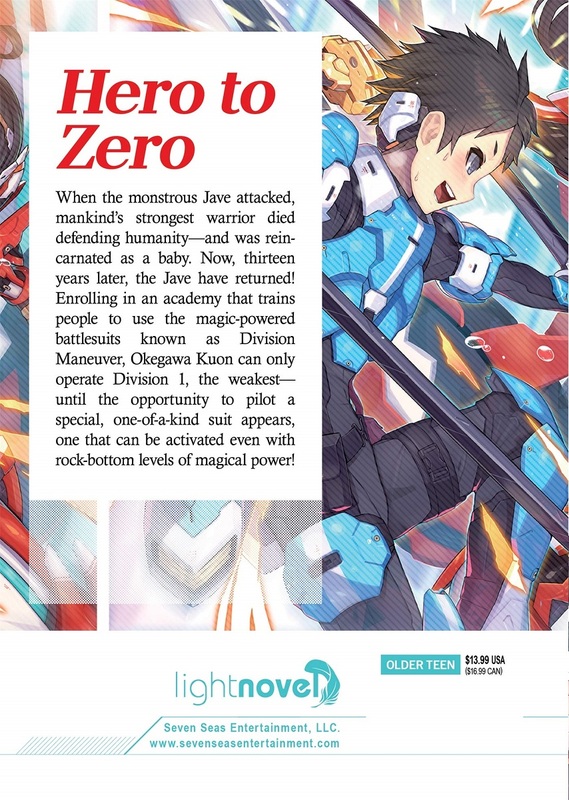 Enrolling in an academy that trains people to use the magic-powered battlesuits known as Division Maneuver, Okegawa Kuon can only operate Division 1, the weakest—until the opportunity to pilot a special, one-of-a-kind suit appears, one that can be activated even with rock-bottom levels of magical power!